The Cross roller bearings consist of two rows of vertical bearing raceways and rollers, and the rollers are arranged in an O-type arrangement, alternating at the top of the raceway, so that the bearings can withstand axial loads, radial loads, overturning torques and other composite loads at the same time, although the bearing has a relatively small cross-section but high rigidity, which can replace the conventional spindle bearing Tapered roller can effectively reduce the bearing in the high-speed rotation of the raceway inner and outer ring line speed difference, prevent roller and raceway contact surface relative sliding, thereby reducing the friction between rollers and raceways and heat, to ensure that the bearing has a long life. At the same time, this structure has less parts and more compact design space, which reduces the height of center of gravity and the weight of spindle structure. Less adjustment links, the overall structure of the spindle rigidity greatly improved, making the table run more smoothly. Before installation, make sure that the structure of the shaft, hole edge can not have burrs, impurities. The mating face must be cleaned up. The mating surfaces that contact the bearing when necessary can be wiped with oil or grease. Bearing delivery is split, divided into the bearing outer ring, the inner ring, the upper inner ring, roller and spacer pieces. According to the need of mounting and bearing, the inner ring and the bearing seat are interference fit, and the outer ring of bearing and the gear ring are also interference fit. In order to facilitate the installation, according to the principle of expansion and contraction of the bearing under the inner ring heating, the size is enlarged after mounting to the housing; Similarly, the ring is heated to expand, making the outer ring of the bearing easier to install. Small bearings can be heated in an oil-filled metal container, and it is important to note that when heated, the bearings are isolated from the underside of the container using a baffle or bracket to ensure uniform heating to reduce deformation. 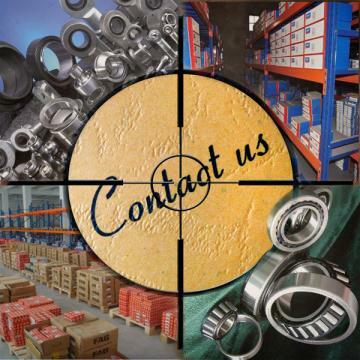 In order to ensure the safe and reliable operation of the bearing, in the bearing operation to avoid the rolling element in the bearing and the cage between the direct contact between the metal, reduce wear and tear, the bearing must be lubricated. The lubrication of the bearing is realized by the grooves between the inner rings, the inner ring of the bearing is fixed and the outer ring is rotated. Cross roller bearings of circulating lubricants can be shared with the drive system, in fact, if only for the lubrication of bearings, the amount of lubricant to use only a small amount, but in the high-speed spindle rotation, the bearing temperature will rise rapidly. This will require a large amount of lubricating oil, the flow of lubricating oil can improve the cooling conditions of the bearing, the effect of cooling the bearing, can guarantee the normal use of bearings under high temperature conditions.